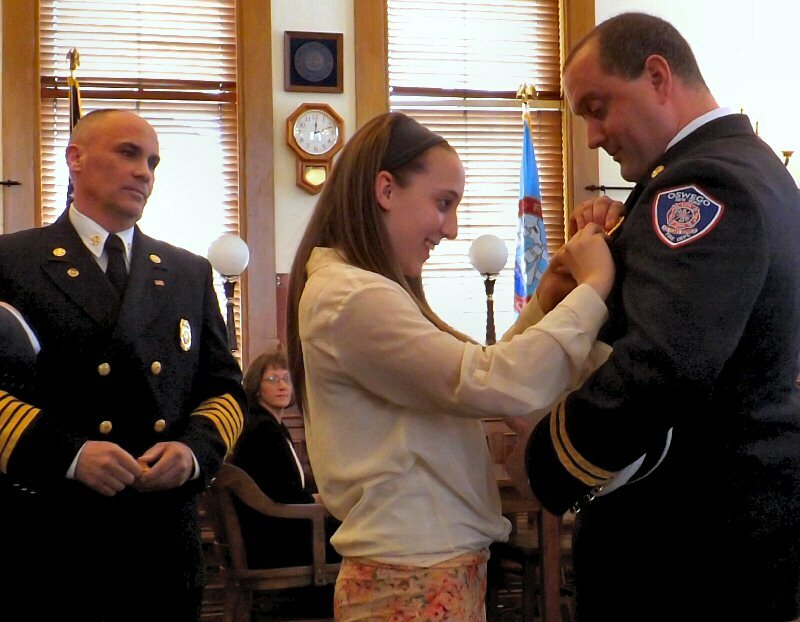 OSWEGO, NY – Several new police officers and firefighters were sworn in recently at a ceremony at Oswego City Hall. Four members of the fire department received promotions, as well. Police Chief Tory DeCaire acted as MC for the ceremony. 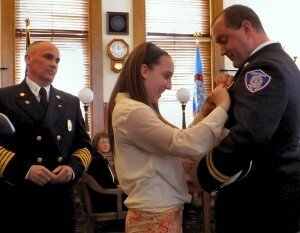 David Engle watches as his daughter pins his new badge on him. Looking on is Fire Chief Jeff McCrobie. Mayor Tom Gillen welcomed the standing-room-only crowd to the Council Chamber. “It’s nice to see so many family members here today,” to support the police officers and firefighters. “It’s a dangerous job, but it’s a very fulfilling job. We are grateful to have you join our city and appreciate your sacrifices make. You make us proud!” the mayor said. For the fire department, David Engle was promoted to the rank of Deputy Chief. David McCullough was promoted to the rank of Captain. George Bennett and Paul Conzone were promoted to the rank of Lieutenant. 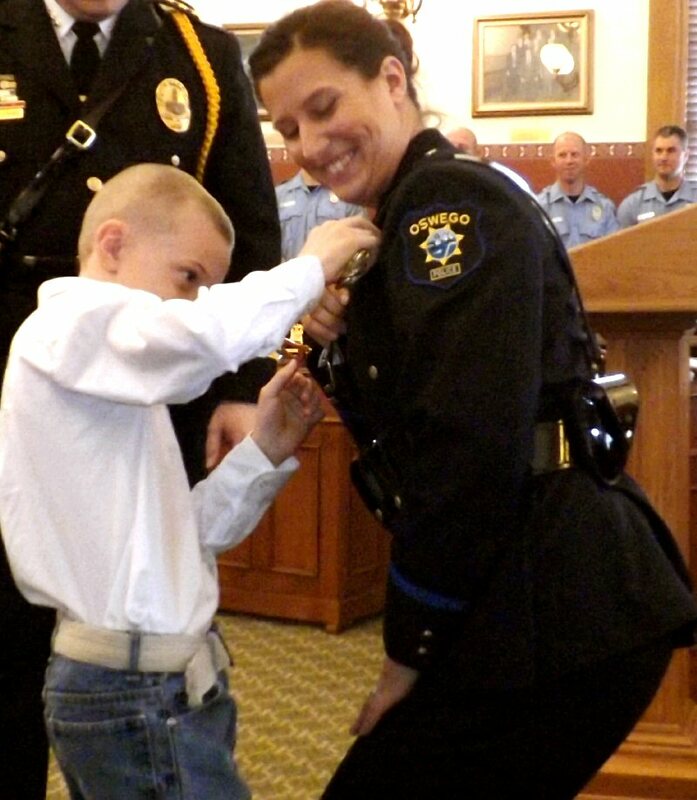 Amanda Pretory’s son, Terry, pins her OPD badge on her uniform. Sworn in as new firefighters were: Christopher Kasperek, Gregory Zaleski, George Goodrow and Bryan Easton. Taking the oath as police officers were: Amanda Pretory, Frank Garofalo and Nicholas Nugent. Sworn in as police officer – recruit were: Zachary Quinones, Bryan Thompson, Kevin Daily, Samuel Crisafulli and Scott Smith.